Will NYC’s “Freelance Isn’t Free” Affect You? If you hire freelancers in New York City, you’ve probably already heard about the “Freelance Isn’t Free” Act signed into law back in November. Now that it’s taking effect starting on May 15, 2017, most people we talk to have two questions: How does it affect me? Is it good news or bad news? The answer to the second question isn’t entirely simple. For freelancers, it’s great news, offering more recourse if things go wrong in a business relationship. The new law gives freelancers some of the privileges of companies and corporations without requiring them to register a business or trade name. Any time they’re earning more than $800 from an employer over a 120-day period, that relationship will require a written contract from now on. On a day-to-day basis, for either party, the new law may mean more administrative hassle. But for those hiring freelancers, even though it may seem like more trouble than it’s worth, taking the time to spell out your business relationship has a huge upside. Clarifying expectations like what the freelancer is doing and how much you’ll pay may help eliminate confusion and misunderstanding later on. Competing in the global “gig” economy, many freelancers have turned home-based workplaces into mini-sweatshops, putting in long hours for sub-par wages. According to the Freelancer Union, which spearheaded the initiative, some 38% of NYC’s workers work freelance, and many have been exploited by late-paying and non-paying employers. The new law requires that freelancer and employer set up payment terms in advance, and offers recourse to ensure timely payment and prevent employer retaliation or reduced compensation. Although the law requires the city to set up an information program, including sample contracts in English and six other languages, we recommend creating a customized contract up front which will protect your business and assets from misunderstandings or breaches of the freelance relationship. One final pitfall to avoid: Whenever you’re setting up a contract, make sure you specify whether the freelancer is providing “work for hire,” meaning you’ll own all rights to the work product, or licensing the work product to you on a one-time or limited basis. This applies to a range of creative content, including writing, art, programming, website design, or a range of other applications. In addition to the possibility of court action, the new law also carries civil penalties up to $25,000 for gross violations or patterns of abuse. So protect your business and get legal advice on how these changes will affect you and your business before the law comes into effect this May. Can you identify the single biggest threat to your trade secrets? It’s not hackers or cybercrime: recent research shows that over 85% of trade secret lawsuits are actually against employees and business partners. Although there’s an element of risk in bringing anybody on board, here are five simple ways you can mitigate your risk, working proactively to keep your trade secrets as safe as possible. Unlike patents, trade secrets don’t have to be formally registered, but creating an internal list of trade secrets you control will make things very clear for employees and business partners and help them understand what can be shared. Once you’ve created this list, you’ll be able to make decisions in terms of who has access to what information. Protect the information once it’s recorded. Involve your IT department in establishing appropriate internal data security, and ensure that anybody with access has signed a nondisclosure agreement. Many companies use a standard boilerplate nondisclosure agreement (NDA). This can be a mistake, since a standard NDA may unwittingly give away some rights. To avoid compromising your security, consult with an attorney to custom-tailor an NDA. Take into consideration factors like when trade secrets must be returned and/or destroyed – particularly when the relationship with the arrangement with this business partner ends. Does the agreement have an “expiry date” after which the partner is allowed to use your trade secrets? This is never advisable, yet it’s often part of standard NDA agreements. Many employees don’t have a clear sense of what an essential asset trade secrets are. Employees who will be dealing with a trust business partner must understand what can and cannot be exchanged. Clarity is key here. 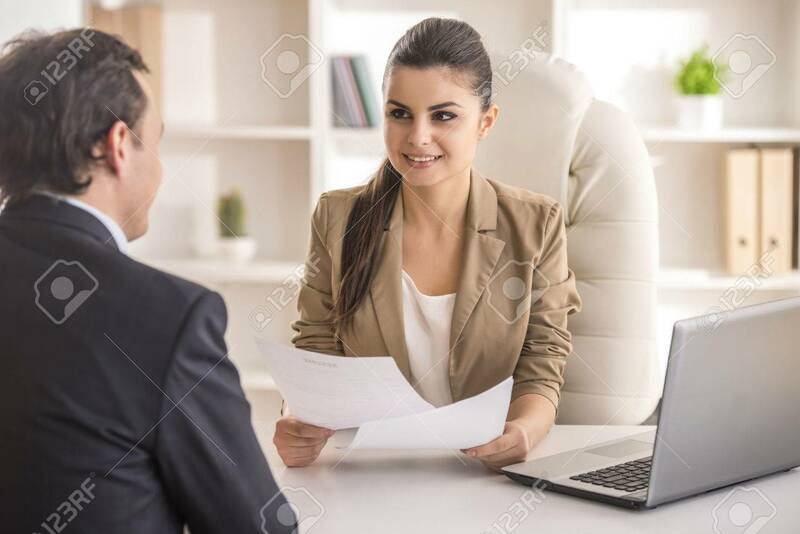 Unambiguous written guidelines will probably work best, along with a clear indication of who to turn to with any questions relating to information shared with the business partner. This isn’t a “once and done” process. Retraining every few months will ensure that they understand that protecting trade secrets is an ongoing concern for every single employee. The relationship of trust with your business partner extends to every single employee coming in contact with your trade secrets. Therefore, your business partner’s staff must also ensure that they understand their requirements and obligations under the conditions of any NDA that they’ve signed. Signing the document isn’t enough. If they see that you will be vigilant about enforcing your trade secret rights, and that you’re checking in periodically to see how your information is being used at your business partner’s end, they will take your concerns more seriously. It happens. Sometimes from within your company, and sometimes through a business partner; sometimes accidentally, and sometimes intentionally. Whatever the case, you absolutely must have a Plan B ready in case trade secret information does get out. Move to enforce your rights as soon as you become aware of the breach. And once the situation is back under control, take a step back to evaluate lessons learned and to enhance security going forward. The most essential thing to know about trade secrets is that they’re only protected by law if you’ve taken reasonable steps to keep them secret. Vigilance up-front and on a systematic, ongoing basis will demonstrate to employees and business partners that you are very serious when it comes to protecting your intellectual property rights. Following these five simple rules now will go a long way towards preventing bigger problems later on down the line. Using company email for personal matters can result in disastrous consequences as illustrated in the recent New York case of Peerenboom v. Marvel Entertainment. The case involved Perenboom's subpoena of Marvel for its CEO's Isaac Perlmutter’s work emails relating to a private dispute between Peerenboom and Perlmutter over the management of their tennis club. Perlmutter objected to the subpoena because some of the emails were between him and his attorneys and therefore were protected by attorney-client privilege. Peerenboom countered that the attorney-client privilege had been waived since all emails sent by Marvel employees through the Marvel server were subject to monitoring. Siding with Peerenboom, the court considered a number of factors in deciding whether privilege had been waived, including: (1) Marvel's email policy banned personal email use; and (2) Marvel monitored the use of the employee email and put all employees on notice that their email was being monitored. The court held that since these policies allowed third parties to access emails between Perlmutter and his attorneys, Perlmutter could not assert the privilege to prevent their discovery. Waiver of attorney-client privilege may be an extreme result but it demonstrates the importance of transparent email policies. If an employer is going to monitor employee email usage, employees should be made aware of the policy.in a clear and unambiguous manner. In so doing, employers can ensure that employees know that company email is for company business only. Do Software Patents and the First Amendment Conflict? Does the First Amendment require that software patents be abolished? That was the question raised by Federal Circuit Judge Haladane Mayer in a recent concurring opinion issued in Intellectual Ventures v. Symantec. First, some background. In the 2014 Supreme Court case Alice Corporation v. CLS Bank International, the Supreme Court ruled, 9-0, that abstract ideas simply cannot be patented under Section 101 of the Patent Act. Under that doctrine, the Court invalidated the patents in suit that claimed (1) a method for exchanging financial obligations, (2) a computer system configured to carry out the method for exchanging obligations, and (3) a computer-readable medium containing program code for performing the method of exchanging obligations. The Constitution protects the right to receive information and ideas. . . . This right to receive information and ideas, regardless of their social worth, is fundamental to our free society.. Patents, which function as government-sanctioned monopolies, invade core First Amendment rights when they are allowed to obstruct the essential channels of scientific, economic, and political discourse. Section 101, if properly applied, can preserve the Internet’s open architecture and weed out those patents that chill political expression and impermissibly obstruct the marketplace of ideas. The idea that software patents chill free speech and are therefore impermissible under the First Amendment is a novel one. Taken to its logical conclusion, any patent involving communication protocols--whether in software or hardware--could be subject to invalidation under the First Amendment. It remains to be seen whether other judges pick up Judge Mayer's idea and develop it further. In August, 2016, Massachusetts passed a landmark law which made it illegal for employers to ask candidates about their previous salaries. Why, the law, and why so specific? The law was intended to equalize pay for women, who categorically earn around 80% of men’s salaries for similar positions. Since employers tend to base salary offers on candidates’ prior salaries, basing women’s salaries on their previous salaries keeps them in the cycle of earning less than their male counterparts. The Massachusetts law set out to break this cycle. Now, employers must address the salary issue differently, by either offering a salary, or asking the candidate about their salary expectations. No more basing an offer on a previous job’s salary. The Massachusetts law went even further, forbidding employers from prohibiting their workers to discuss salaries among themselves. Effectively, this meant that employees wouldn’t know if they were getting paid more or less than a counterpart. By removing the “don’t discuss salaries” clause from employee contracts, Massachusetts took away a long-held practice which forced employees to be hush-hush about their salaries, lest they be in breach of contract. Now, the discussion is open, leading to higher transparency on the part of employers, for female and male employees alike. In a similar vein, last year California enacted a law requiring employers to have a system in place which can prove equal pay for “substantially similar” jobs. While all of these laws are touted as victories for female workers, their legal effects can translate into lawsuits against employers. Therefore, employers need to be fully informed about the new laws. They will need to know specifically about what to say, what not to say, and how to track male and female salaries for comparison’s sake. Even if discrimination might be hard to prove, it behooves all employers to know what’s at stake in order to avoid the hassles, and perhaps ill-repute, of an employee or job candidate lawsuit. Gender-equal pay can be a hot topic. Bringing it home, even though New York State doesn’t yet have these particular laws on the books, it’s probably only a matter of time. So, be sure to stay updated regarding the legalities of employer-employee salary discussions.